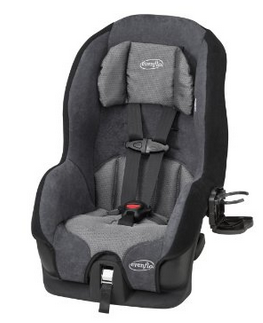 Evenflo Tribute 5 Convertible Car Seat 72% OFF - Only $55.55 Shipped! You are here: Home / Great Deals / Amazon Deals / Evenflo Tribute 5 Convertible Car Seat 72% OFF – Only $55.55 Shipped! Evenflo Tribute 5 Convertible Car Seat 72% OFF – Only $55.55 Shipped! Wow! If you have a little one ready for a convertible carseat, here is a HOT deal for you! Get the Evenflo Tribute 5 Convertible Car Seat for Only $55.55 on Amazon (reg. $199.99)! Plus, shipping is FREE!